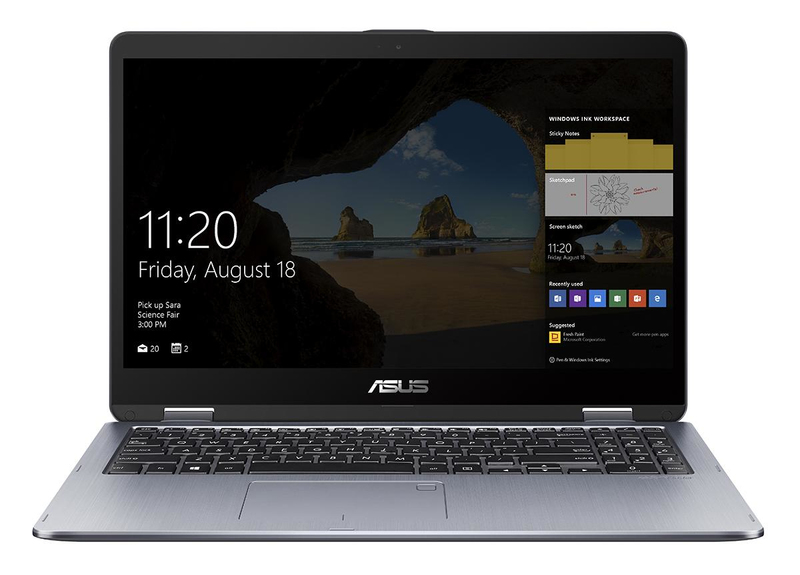 The ASUS VivoBook Flip 15 is the first 15-inch convertible laptop to feature the ultra-narrow ASUS NanoEdge bezel. The slim and lightweight VivoBook Flip 15 is designed to suit any occasion. Use it as a stylish laptop, a handy tablet ” or anything in between. 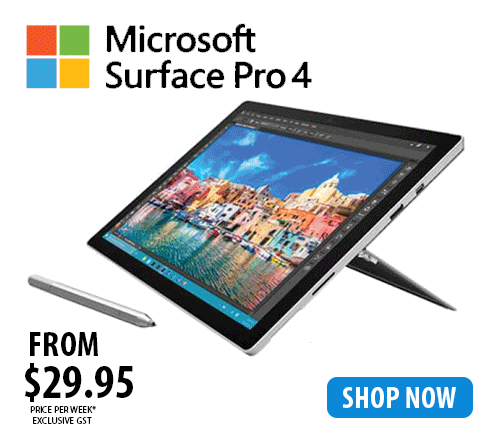 Its Intel® Core i7 processor and NVIDIA® GeForce® MX130 graphics let you sail through everyday tasks with ease. The VivoBook Flip 15 has an eye-catching aluminum chassis. With an 18.8mm profile and an overall weight of 1.9kg, it™s one of the most portable 15-inch convertible laptops around. Fitting a 15-inch Full HD display into a frame size that™s typical of a smaller size laptop isn™t easy ” but the ultra-narrow 8.1mm NanoEdge bezel makes it possible. With its NanoEdge design, the VivoBook Flip 15 features an incredible 79.4% screen-to-body ratio and a larger display area for more immersive viewing. 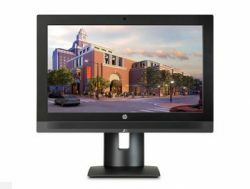 The Full HD display also features 178Ëš wide-view technology to ensure that colors and contrast remain vivid and bold, even when viewed at sharp angles. This makes it the perfect solution for sharing content with friends and colleagues. The VivoBook Flip 15 is designed for ultimate touch experiences. Its high-precision touch sensors spaced at 6mm intervals ensure greater sensitivity over standard displays ” so even the subtlest touches are detected. 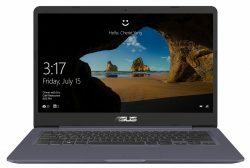 VivoBook Flip 15 also works perfectly with the ASUS Pen. Truly immersive sound takes entertainment to greater heights. ASUS SonicMaster technology ” co-developed by the ASUS Golden Ear team ” delivers the most incredible audio that you™ve ever heard on a laptop, thanks to its innovative combination of hardware and software. With up to latest generation Intel Core i7 processor with 16GB memory and NVIDIA GeForce MX130 discrete graphics, the VivoBook Flip 15 provides powerful, energy-efficient performance. With up to a 2TB HDD and 512GB SSD storage, the VivoBook Flip 15 has more than enough space for your business presentations, photo albums, and multimedia libraries. Whether you™re indoors, or on the move “ you™ll get more done with the VivoBook Flip 15. On a full charge, the VivoBook Flip can last all day, so you won™t need to bother looking for power outlets. And when it™s time to plug in, ASUS Battery Health Charging technology helps protect your battery. To ensure ultimate durability, the precision-engineered stepless 360° metal hinge of the VivoBook Flip 15 was subjected to 20,000-cycle open-and-close tests. So you can rest assured that your VivoBook Flip 15 will be ready for any mode, anytime ” for years to come! The VivoBook Flip 15 features full-sized keys with 1.4mm of key travel to provide a reassuringly solid feel and a comfortable typing experience, even after hours of use. The backlit keys also feature ambient light control, to help you stay productive in any environment ” even in the dark! Accessing the VivoBook Flip 15 has never been easier or more secure. With an integrated touchpad fingerprint sensor and Windows Hello support, the days of typing in your password are over ” just a single touch is all it takes to log in! When working on the go, connectivity is vital! The VivoBook Flip 15 features the revolutionary USB Type-C port for any-way-up connections and super-fast data transfers. The ASUS Pen can detect minute pressure variations “ from 10 g all the way up to 300 g. It also exceeds the industry accuracy standard, allowing you to hold it at angles of up to 45°, just as you would a normal pen. Jot down thoughts, annotate diagrams, or sketch out ideas ” ultra-precise active stylus support provides accurate control with a natural, responsive feel.